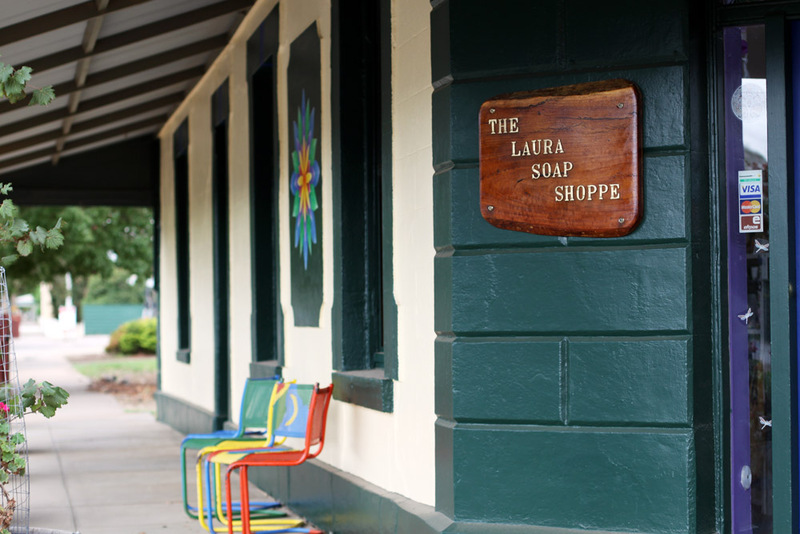 The Laura Soap & Gift Shoppe: Painting the town... cream? Anyway, we're getting off topic here. 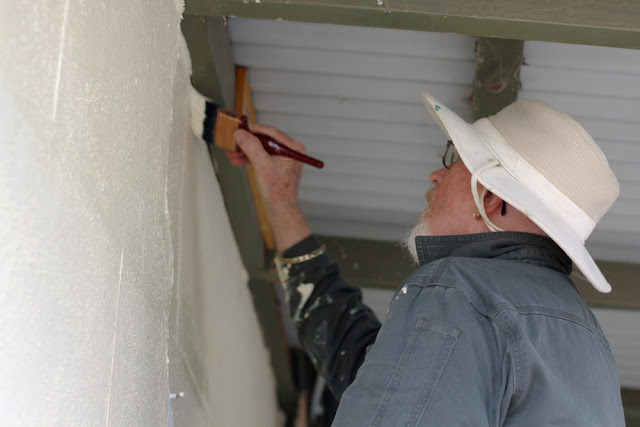 The Handyman has been busy freshening up the shop façade, just in time for the upcoming Folk Fair! "A fair? How intriguing" I hear you exclaim with curiosity. 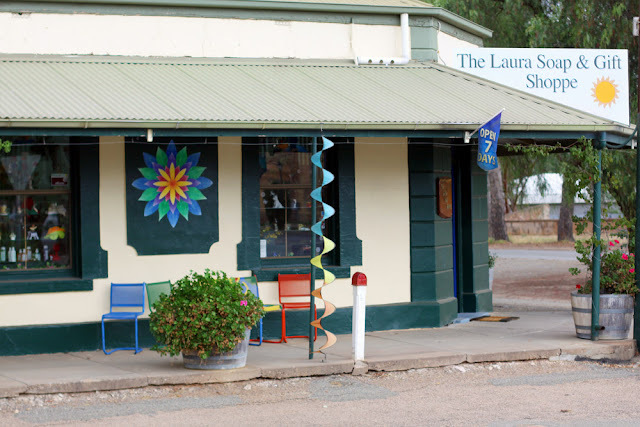 The Laura Folk Fair is held on the first weekend of April every year (that's the 6th and 7th this year). It's a pretty big deal here in beautiful Laura, and attracts a lot of people from around the region. Stay tuned for some posts about our preparations in the coming weeks. If you have a problem...if no one else can help...and if you can find him...maybe you can hire...The Handyman! Notice the Folk Fair poster? We proudly stick that on our door every year to advertise the fair. Those colourful chairs you can see have become somewhat of a trademark of ours. 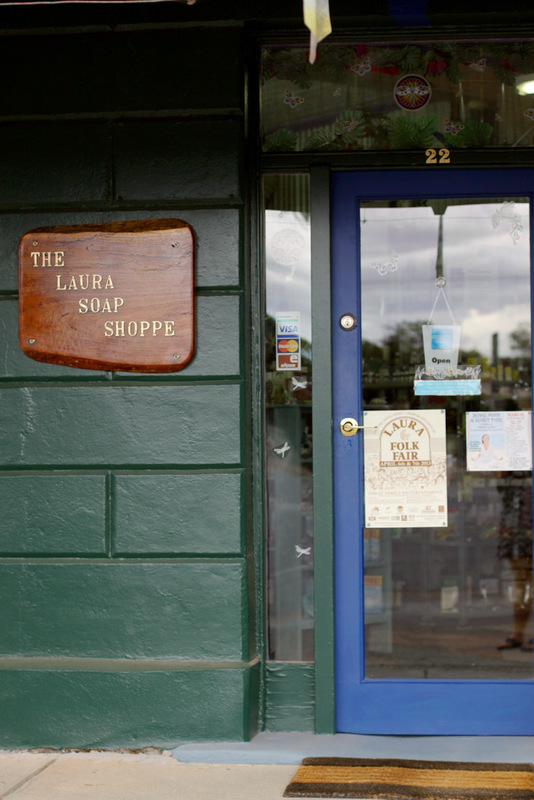 The shop sits right on the corner on the main road of Laura, diagonally opposite the site where the Folk Fair is held.